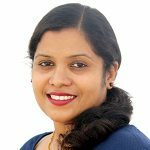 What are the regular prenatal tests performed during pregnancy? What are the specific types of prenatal testing? What are the optional tests during pregnancy? What are the recommended prenatal tests for women over 35? Can you refuse blood tests during pregnancy? 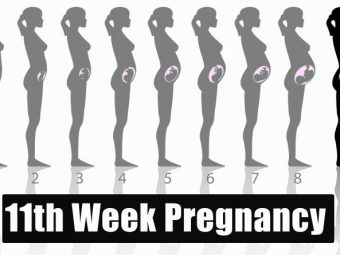 From the time you conceive to the day of childbirth, you will be undergoing a series of tests that track your pregnancy. While some tests are routine prenatal checkups, others are voluntary and are performed under exceptional circumstances, on the recommendation of an obstetrician or genetic counselor. Most of these tests are quick, painless and crucial to the health of the mother and the baby. 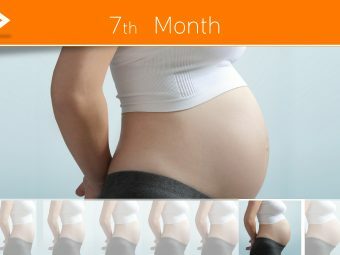 MomJunction tells you about the tests you’ll have to undergo during the nine months of pregnancy. Prenatal testing refers to the series of medical assessments you have over the course of pregnancy. They include blood tests, invasive genetic tests, ultrasounds, vaginal swabs, and electronic fetal monitoring that help your doctor understand yours and your baby’s health (1). Some tests are routine and are usually performed in every pregnancy. They analyze the baby’s progression and check if you are in good health for holding the baby until delivery. The tests also help your doctor understand the need for any special treatments. Some other tests are optional and are done if you opt for it and you are at risk of some complication. These optional tests help determine if your baby has any genetic abnormality or congenital disabilities. If certain health conditions run in your family, you should talk to your genetic counselor. The specialist can help you know about the possible birth defects or conditions which can have an impact on you and your baby’s health. Next, let’s see the regular and the specific tests that you may undergo during pregnancy. Blood pressure test: This is done to check if you have preeclampsia, a condition of high blood pressure and signs of organ damage mostly to liver or kidneys. Urine test: This is done to check for kidney and bladder infections, and conditions such as preeclampsia. High level of protein in urine is a sign of preeclampsia. Blood tests: They are done to find the blood type, Rh factor, and anemia. They also reveal infections such as hepatitis B, HIV, and syphilis. Additionally, weight is also determined during every prenatal checkup to understand if your weight gain is ideal. Prenatal tests are categorized into diagnostic and screening tests (2). Screening tests: These tests identify your chances of having a baby with chromosomal abnormalities. They do not give definitive results but come with set parameters for results. If results are above or below a set level or measure, they are deemed positive and warrant further testing. There are no risks involved in doing these tests. Diagnostic tests: These tests give definitive results if your baby has a genetic condition or congenital disability. The results are 99% accurate and usually follow screening tests. Diagnostic tests may pose some risks for you and your baby. Keep reading for a detailed understanding of the tests done in each trimester of your pregnancy. 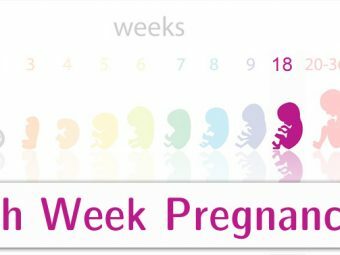 The list of tests in your first trimester, which is from week zero to week 13 (months 1, 2 and 3) is as follows. Apart from these, there can be additional screening or diagnostic tests depending upon the condition of the individual. Quad screen This is performed in between 15 and 18 weeks to check for chromosomal disorders and neural tube defects. 3D and 4D ultrasound They are usually done when the pregnancy seems to be complicated. They examine fetal abnormalities such as neural tube defects and cleft lip palate or anything specific. Multiple two-dimensional images are captured at different angles using the hand-held ultrasound device (12). Glucose screening This is performed in between the 26th and 28th weeks of pregnancy to determine your risk of gestational diabetes. Glucose tolerance test It is done in between 26 and 28 weeks to detect gestational diabetes (1). You need to follow a strict dietary for a few days. Then, you fast for 14 hours before the test. A blood test followed by consumption of sugary drink and serial blood tests helps detect the condition. While you will have a good idea of how your baby is doing by this time, your provider will do a few more tests to make sure the baby arrives healthy and in the best condition. Nonstress test It is performed anytime after the 28th week in the case of high-risk pregnancies, or if you are past your due date. It monitors the baby’s health and can show if the baby is in distress. A stretchable belt monitor is placed around the belly to track the fetal movements (14). Optional tests are performed on pregnant women who are at a risk of having a baby with a genetic disorder or congenital disability. Genetic screening tests are usually recommended for pregnant women over 35. It is because the risks of chromosomal abnormalities increase with advancing age. 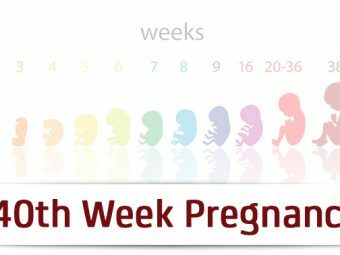 The usual tests the obstetrician recommends are amniocentesis, nuchal translucency screening, chorionic villus sampling and anatomy ultrasound around the 20th week of pregnancy. If results from these tests are abnormal, your doctor will refer you to a genetic counselor, who will help you understand the options and manage the condition. If your healthcare provider recommends prenatal tests, you should ask the following questions and more. Why do I require the tests? Is it compulsory to get the test? How long does it take for the test? Where should I get the tests performed? Getting answers to these questions will help you learn about the test, and cope with any fears and worries that you may have. You cannot decide whether you need a blood test or not. It is only your healthcare provider who can make the right decision. Remember that these tests are done to ensure that you and your child are safe. The exact number of tests done or frequency of ultrasound varies from one woman to another, as it depends on their health condition. Consult your doctor for any specific tests that you need. Have any prenatal test experiences to share with us? Let us know in the comments section.